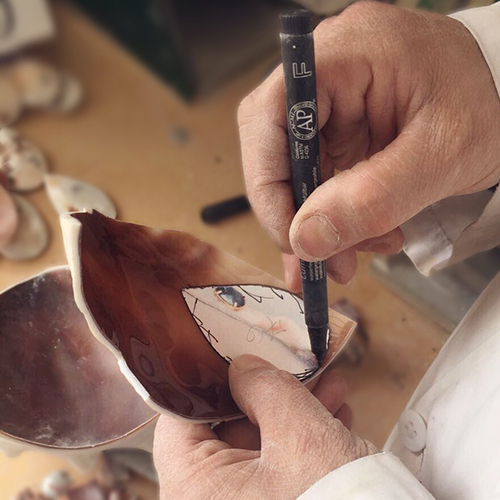 Cameo is a a method of carving a seashell and it is of the most treasured sculpted images. In common opinion, they are vintage oddities, travel souvenirs or museum pieces with half-faces and weird mythological scenes, a far cry from modern style and fashion with its easiness and lightweight fabrics. Our goal is to revive cameos as objects of fashion and desire, thats why we kept the classical idea framed into modern realities. 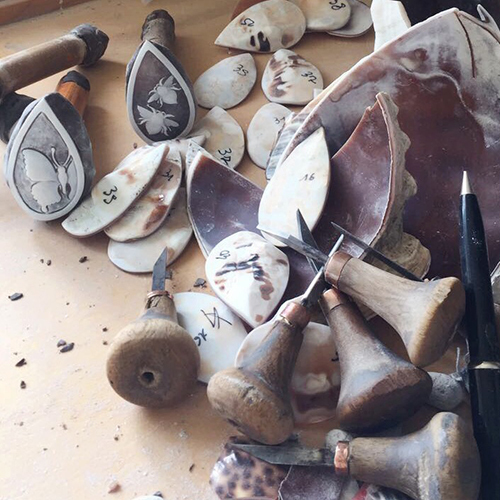 Like generations ago, cameos are meticulously crafted by hands of artisans who have been specifically trained in one area of detail. This means that one artist has spent their working life trained to carve noses or hair while another is trained to carve flowers. Only a master carver has the experience and know how to carve a cameo in its entirety, therefore the majority of cameos on the market have gone threw an assembly line type process where multiple carvers add their expertise to every piece. In modern jewellery, artisanal work is pushed to the background by industrial mass production, obscured, underestimated. We believe that our mission is to bring back to the world the richest tradition of Italian craftsmen with all the magic they create. Today only the very few people possess the skill of hand and artistry in cameo carving. No matter how deep are the roots of the living legacy, it may cease to exist right now if it is not passed to the new generations. We wish this unique art to last and be cherished like the related art of gem-cutting which is also ancient but yet all the rage. In the heart of progress lies a tradition: we need to respect what came before us if we want to move on. Usually cameos are small and follow the classical, renaissance or baroque design. The aim was to break the boundaries and come out with a unique object that would surprise first of all with its size, then the image and, for a keen eye, also the quality. 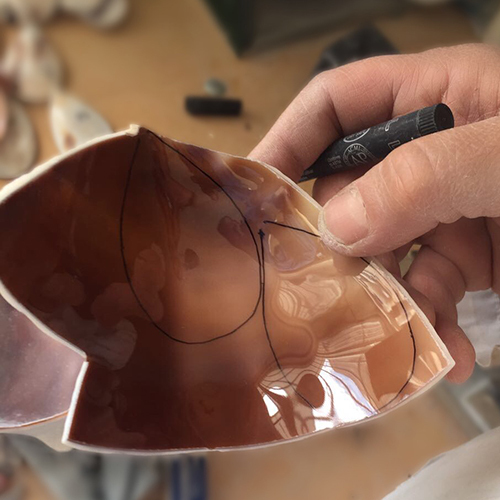 It was very difficult to find a sardonyx shell of such enormous size in order to produce the flat surfaces large enough, and make both pieces proportionate to each other, as there are two drops in one set of earrings. I hope clients would fully appreciate the value of this because it is not just buying jewellery, they would carry along with them the very essence of Italian traditional decorative art and provide themselves with a lasting emotional experience.